The full name of Luke Donald is Luke Campbell Donald. 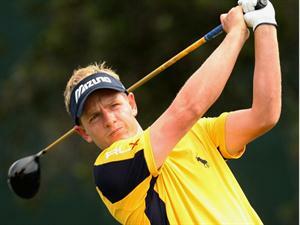 Luke Donald is one of the best British golf players and currently he is the No 1 player in Official golf rankings. Luke Donald was born in the year 1977 December 7 at Hemel Hempstead, Hertfordshire. Hemel Hempstead, Hertfordshire plays in US PGA tour and European tour. His brother Christain is also a Junior Golf player but not famous like Luke Donald. His professional career started in the year 2001. In 2004 European tour, Luke Donald had won Omega European Masters and Scandinavian Masters. In the same year he had won Ryder cup and WGC world cup. Luke Donald has career earnings of $17,000,000 in PGA tour and €7,000,000 on the European Tour. In 2011, Donald had won WGC-Accenture Match Play Championship by beating Martin Kaymer who is the No 1 in earlier time. More details about the profile of Luke Donald is given below.